Dot and I spent some of our time during her year-end holiday preparing for her January birthday party. She prepared her birthday invites and we also made this cute this fluffy sheep together, after we looked through Martha Stewart’s Favorite Crafts for Kids. Our finished work is then hung under our ceiling fan in our living room. 1. Draw the outline of the sheep on a cardboard and two pieces of brown paper; and cut out the shapes. 2. Glue the brown papers onto both sides of the cardboard. 3. 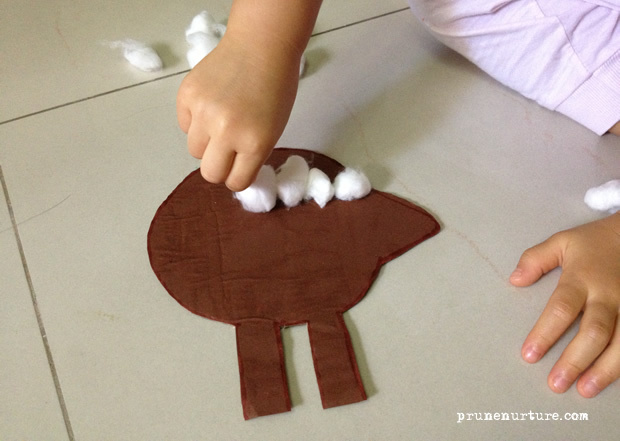 Roll the cotton into balls and paste onto both sides of the brown cardboard. 4. 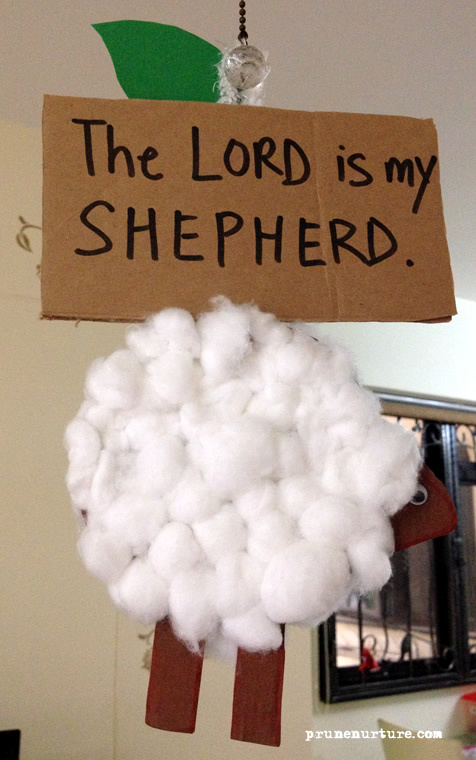 Paste goggly eyes on both sides of the cardboard; and we have finished a fluffy cute sheep.